Megalodon fossil shark tooth; collected from eastern seaboard of North America. Photo by James St. John/Flickr (use permitted with attribution). 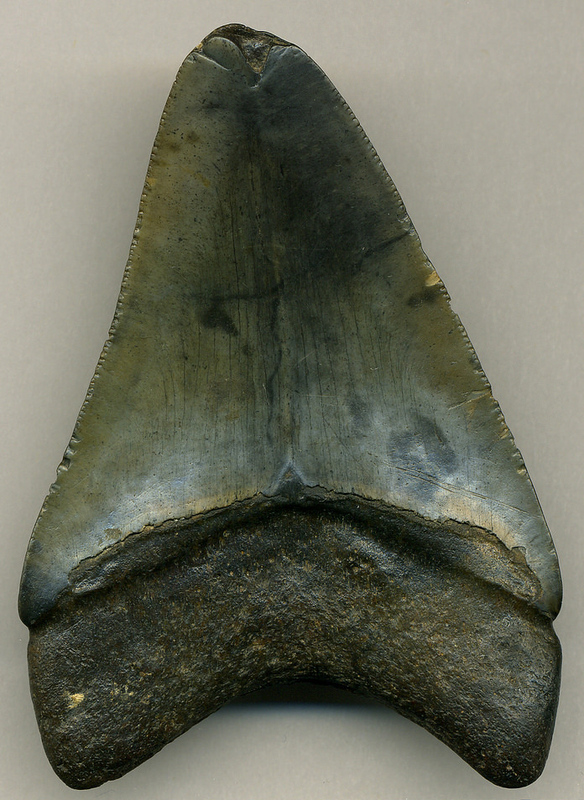 Megalodon fossil shark tooth; Photo by /[file:field-file-source] ([file:field-file-license]). This massive prehistoric shark lived over 1.5 million years ago and had serrated, heart-shaped teeth that grew to over seven inches in length! Georgia also recognizes fossilized shark teeth as a state symbol - teeth from any of the many types of sharks that lived in prehistoric Georgia and North Carolina (the oldest teeth date back about 375 million years). 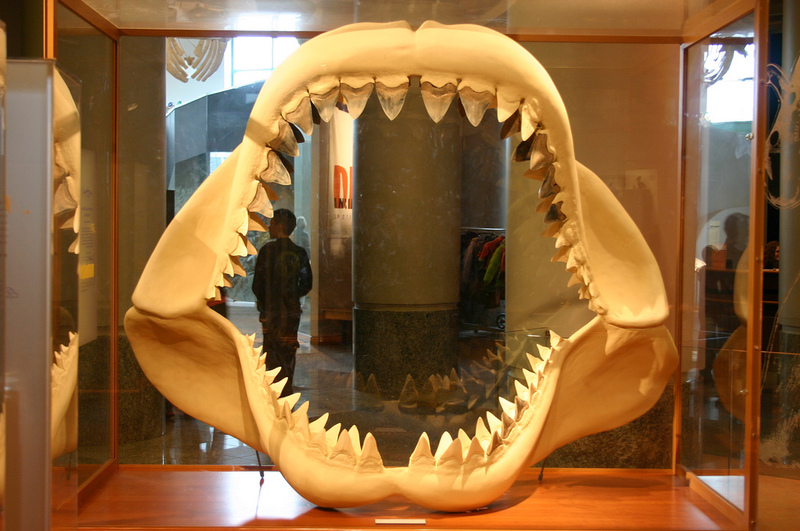 Now, therefore, the General Assembly of North Carolina enacts: The fossilized teeth of the megalodon shark is adopted as the official fossil of the State of North Carolina. 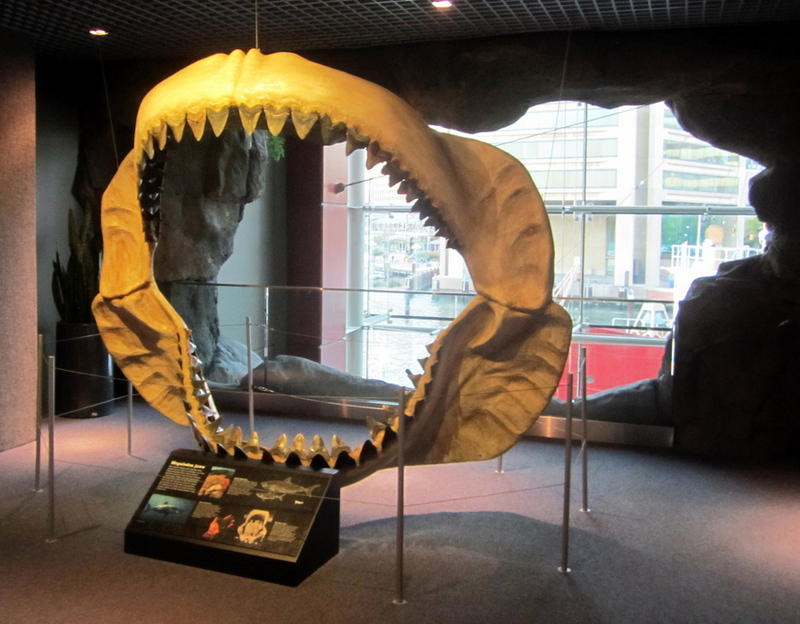 Megalodon shark jaws; National Aquarium, Baltimore, Maryland. Photo by Wally Gobetz/Flickr (noncommercial use permitted with attribution/no derivative works). Megalodon shark teeth; the North Carolina Museum of Natural Sciences Photo by Ryan Somma/Flickr (use permitted with attribution/share alike). Video of Megalodon biggest tooth?